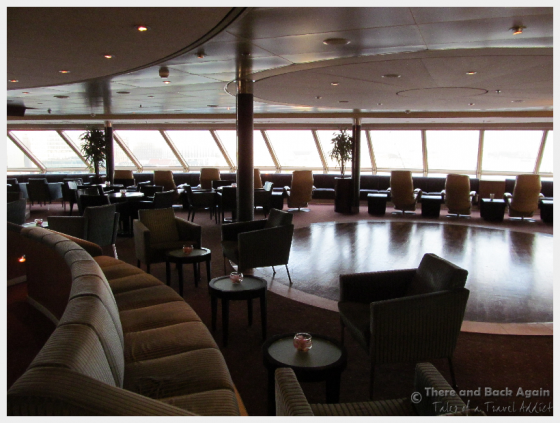 The Holland America Line MS Eurodam is a lovely ship. Her maiden voyage was in 2004, and she is the newest cruise ship that we have been on. 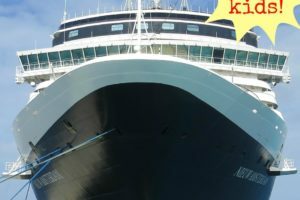 The Eurodam is one of the largest ships in Holland America’s fleet (she is nicely sized to accommodate 2,104 passengers and is 936 feet long) , but by cruise ship standards, she really a mid sized ship. 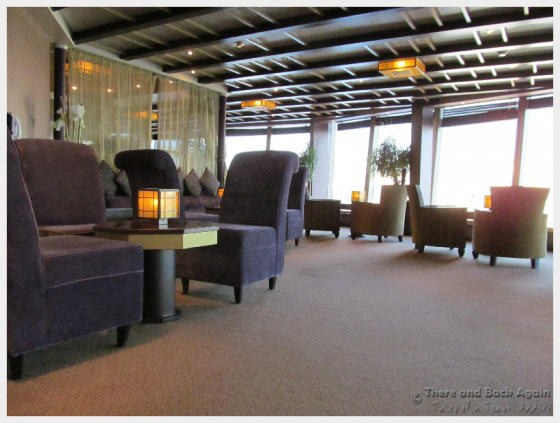 An innovative space with one of the very best views on the ship, the Silk Den is a spot that I wished that I had spent more time in. It feels quaint and cozy, and it was never very crowded. It would have been a great place to tuck away to read for a couple of hours, or to meet with friends for drinks. 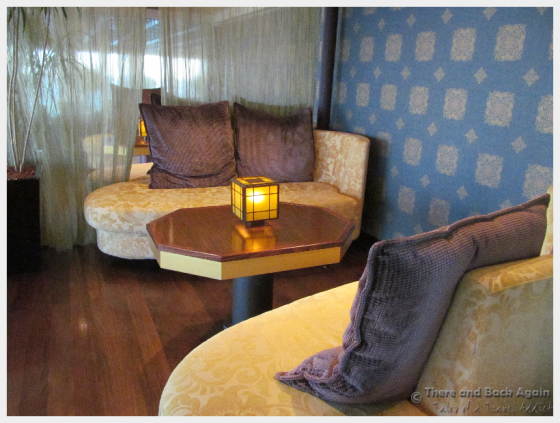 The Silk Den is designed to compliment the Pan Asian cuisine featured at the Tamarind restaurant across the hall, and they have special cocktails and drinks that are not served anywhere else on the ship. 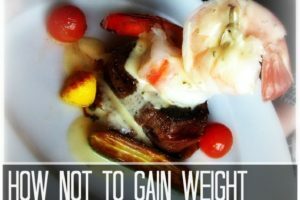 You can even satisfy your Sake cravings, if you want (and it is a great place to try it if you have never had it before. The prices weren’t over the top. We paid about $11 for a small carafe of good quality sake one night, which wasn’t terrible). This innovative space is located at the top of the ship and at the very front (just below the bridge). It is a great multi-use space that sits right next to the Explorations Cafe. During the day, the space is filled with people sitting in the lounge chairs in front of the large panoramic windows or playing games at the many open tables (they actually have a good selection of games available to borrow through the library). 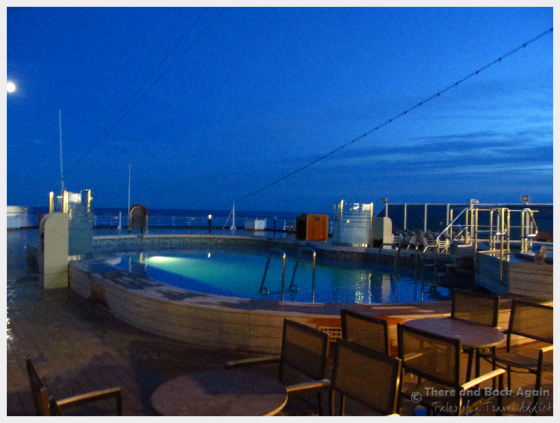 At night, the Crows Nest is a nice place to sit and talk with friends. 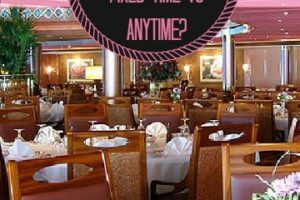 An acoustic guitar player was here most nights on our cruise, but the music was not loud enough to disrupt conversation. 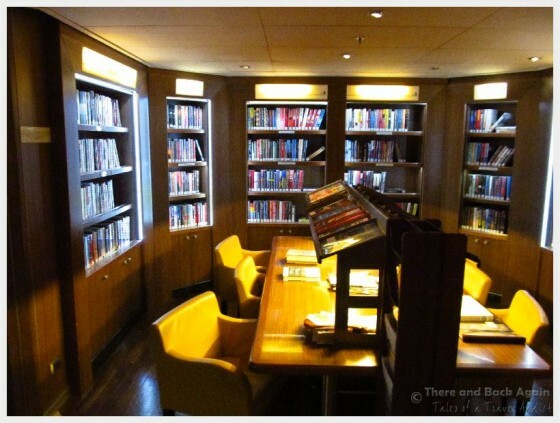 Holland America is the only cruise line that I have ever been on that actually had a REAL library and not just a sorry looking shelf of tattered paperbacks that was masquerading as one. 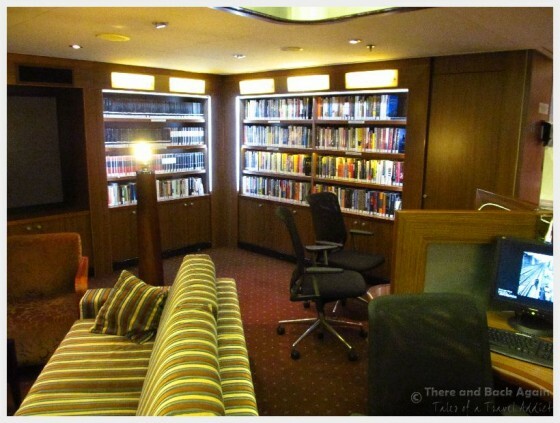 We spent most of an afternoon in the library on the Holland America Line MS Eurodam one day perusing their ample selection of travel books to help us plan our adventures. They also have a good selection of fiction from which I was able to find a book that had been on my wish list for a while to enjoy during the cruise. This are also where computers for guests to use to check the internet are located (the prices, just like any other cruise ship are crazy. The internet connection is via satellite and it can be slow and unreliable). They have a small cafe and coffee bar in the Explorations cafe (the coffee drinks are not free, but not very expensive, either. A couple of dollars or so for a fancy coffee). 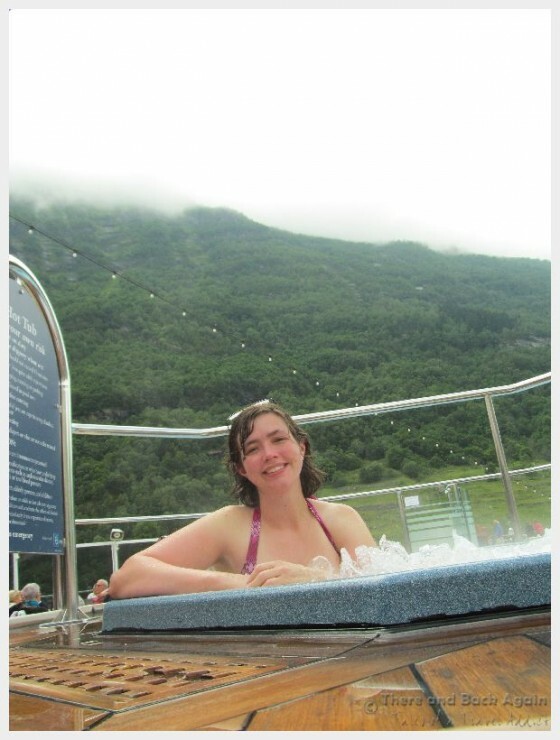 I happily managed to sneak away a few times during our 19 day cruise on the Holland America Line MS Eurodam to sit in the hot tub on the back deck of the ship (hubby does not like soaking in hot water nearly as much as I do). The views are great, and they have a nice little bar to enjoy. Even on windy days, there is a nice little sheltered area of tables to sit at to get some fresh air. On our European itinerary, it was NEVER crowded back here (this might be different on a more tropical itinerary). 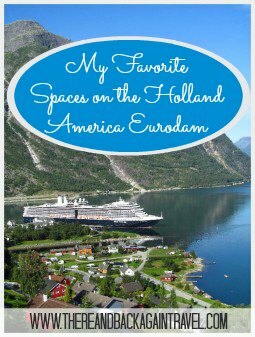 Have you sailed on the Holland America Line MS Eurodam? What were your favorite parts of the ship?